Speed Sculpt test... I really like the style of Assel Kozyreva's work (http://akozyreva.cgsociety.org). I tried to make a slighty older version of a male character concept in 3D-Coat. I'm trying to get out of my comfort zone, enjoyed working on this one. 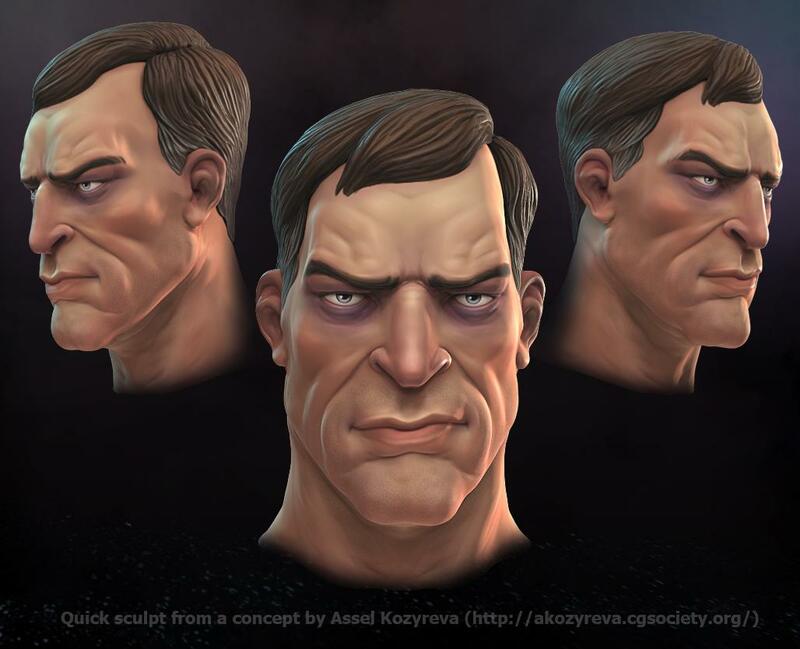 Sculpt, PolyPaint and Render in 3D-Coat. Awesome. Baked lighting for the paint look? Looks gorgeous! I'm always so impressed by people who can model this well! Reminds me of Dishonored. Did Assel work on the design of that game? You definitely captured her style.